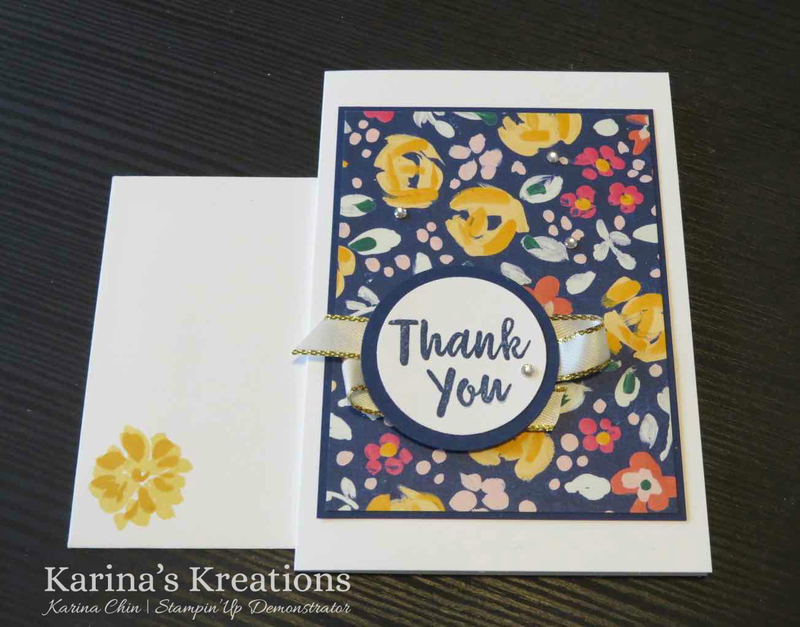 Karina's Kreations: Stampin'Up Abstract Impressions! Stampin'Up has a Buy 3 get 1 Free Designer Series Paper Special on now. This paper is 6" x 6" and is perfect for making cute cards. I used the Whisper White note cards and envelopes. 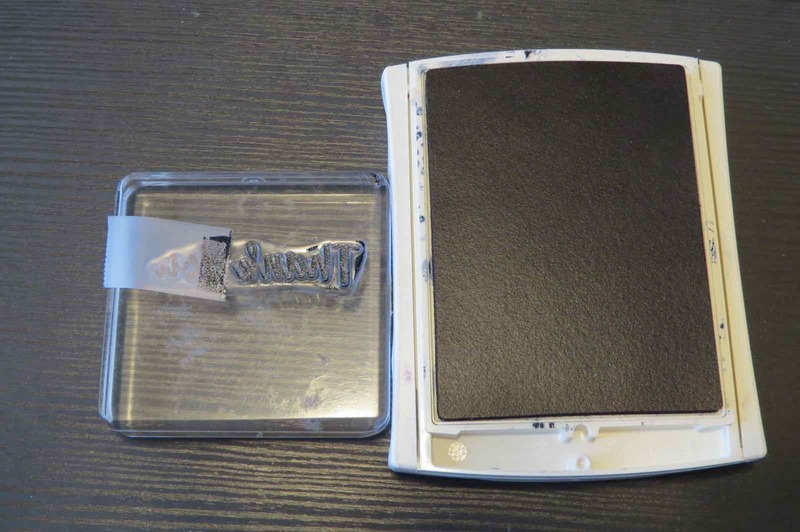 You get 20 in a package and they come cut and scored. I used the Stampin'Up Abstract Impressions stamp set for my sentiment. I love the images and sentiments in the set. I have a tip to share. 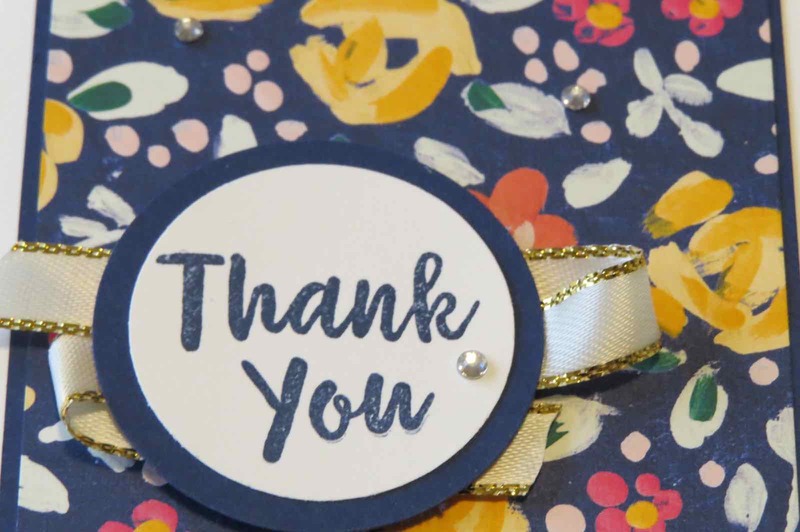 To get the Thank you to fit into the circle shape, use a piece of tape to mask off part of the sentiment and stamp the section you want. Here's the rest of the supplies you'll need to make some cute cards.